The French power company EDF has been looking at buying land near a nuclear power plant in the nearby department of Ain, according to the newspaper Le Temps. It is understood that a third generation Evolutionary Power Reactor (EPR) could be built there. An EPR is a type of pressurized water reactor developed by EDF and Siemens. When approached by Le Temps, EDF said that the company has not committed to any particular project at this stage. The land in question is next to the existing Bugey nuclear power plant around 60 km from the Swiss border in between Geneva and Lyon. Several land owners reportedly received letters from EDF and Safer, a rural property advisor, inviting them to a meeting. EDF’s response to Le Temps was vague: no specific project has been committed to at this stage. The purpose of this land will be defined in due course with all relevant stakeholders. It could be used for new means of producing low-carbon nuclear or renewable electricity. It could also be used to prepare for future decommissioning. 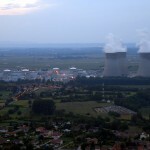 The existing nuclear power plant at Bugey consists of four operational reactors that went into operation between 1978 and 1979. These reactors are scheduled for shutdown in 2019 and 2020. EPR reactors have been beset with problems. The construction of one in Flamanville in Normandy, around 110km from the UK, has suffered multiple delays and a cost overrun of close to 8 billion euros. Originally scheduled for completion in 2012 its completion is now expected in 2019. Despite these setbacks, there have been reports of plans to build six more in France. At a recent meeting in Saint-Vulbas, a town near the Bugey plant, a representative of the French anti nuclear network SDN criticized EDF for not informing locals before contacting land owners, according to Le Temps. 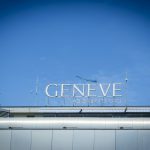 Geneva’s constitution bans nuclear reactors1 in or near the canton. The authorities, who were not informed by EDF of the letters to land owners, have filed complaints against the facility in Bugey in the past, according to Le Temps.